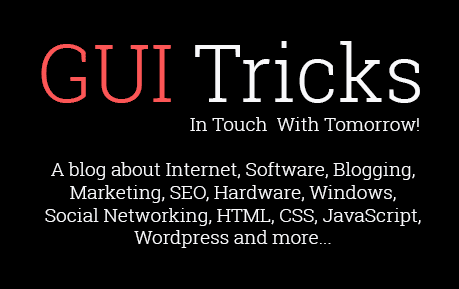 How Appointment Scheduling Softwares Can Boost Your Business Sales | GUI Tricks - In Touch With Tomorrow! How Appointment Scheduling Softwares Can Boost Your Business Sales - GUI Tricks - In Touch With Tomorrow! You must have seen a business go nuts when they have to keep everything in order. As a business owner, you are familiar with the chaos a business might face when it is growing. In order to run things smoother, you will need some other sources to work out for you. This is where an appointment scheduling software come into play. When you manage everything in your business effectively, then things will go exactly the way you want. Your sales can increase as you will invest more time in marketing rather than managing them. 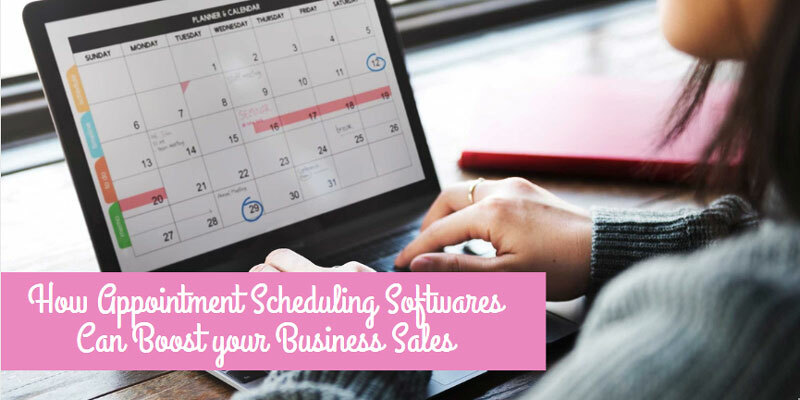 In this post, I will give you some of the points that will support the cause of how appointment scheduling software can genuinely help your business to increase your sales. Let’s get you started and see these points for details. What Is An Appointment Scheduling Software? An appointment Scheduling software is a system which enables you to handle all the appointment related issues that can affect your sales. There are many people who pointed out the relevance of new customer acquisition and customer retention. Both of the things are easy when you have an appointment booking software to guide you to manage the flow of customers. Let’s check the points given below to understand how an appointment booking software can lift up your business sale. No-shows are a huge burden to service-based business. It can also be difficult to keep your staff up-to-date on the status of previous appointments while they’re simultaneously on the phone booking new ones. For instance, take an example suppose your client Bob is very keen to go for his appointment but he happened to forget at that very day. This is where the appointment scheduling software’s automatic notification feature plays a wonderful role. It will remind bob with an email, and a text message on his phone. So, now he remembers everything and reaffirms your staff that he will be attending the meeting. Isn’t that great to have an appointment scheduling software in order to offer value to your client? Imagine a system where you don’t need an in-house executive to book the appointments for only a time capsule (like 9am-5pm). Well, that imagination is no longer an image because it is a reality. With an appointment scheduling software, you can cater your customers and clients with a 24X7 online booking facility which will ensure a rapid growth in your sales in no time. For, instance think of one of your regular customer wants to book an appointment with you. He usually calls your office and waits for plenty of minutes just to book an appointment because of the queue. With an online booking system, you can eliminate that queue and make the booking easy for your customers and clients. This ensures the boost in your sales as your clients don’t have to wait for hours just to book an appointment with you. This saves a lot of time which is always acknowledged by the clients. There are many appointment scheduling softwares which are integrated with search engines like Google and Bing. So, even though your business doesn't have an online presence like a website, it can be listed as a business. So, in short, an appointment scheduling software will help you to list your business in business listings. This helps you directly to increase your business’s reputation and increase more attention of your prospects. Now suppose you own a salon. So, what happens next is that you want clients to know about your salon. With the business listing done by your software, your business will be listed online and whenever a local prospect searches online for a salon, your salon will be visible on search engines. When a business is easy to manage, you can invest most of your time in boosting your sales. A resourceful appointment scheduling software will not only book appointments but also help you to keep all the entries aligned in order. So, all your customer’s information, your employee's records, sales history and etc are accessible from one place. This makes it easier for you to manage everything. It naturally saves a lot of time and hence can be utilized by you on focussing on sales related activities to boost up your business sales. Suppose you hair salon have 9 employees which serve to 50+ customers every day. Now, when you have all that data intact with you then you will have no problem in understanding the sales procedure and your customer’s requirements and behavior. This will help you to design some more sales oriented programs to increase the number of frequent visits of your regular customers. This will definitely increase your salon’s business sales. A robust scheduling software can be very handy when it comes to finances. You can opt for generating online receipts and shipping information and many other important pieces of information. As the world is going paperless, stay on track with your appointment scheduling software and increase your sales by saving your time. Just to conclude in the end, a quick flashback for you what exactly we discussed in the post above. With an appointment scheduling software, you can cater your customers and clients with a 24X7 online booking facility which will ensure a rapid growth in your sales in no time. Did I miss something? Let me know via comments if that is the case. I love to fill my knowledge gaps. I wish you all the best for expanding your business with an appointment booking software. Share my post to help other entrepreneurs. Till then, have a wonderful day ahead. Morris Edwards is a passionate blogger and professional software developer who started his career in web development 10 years ago. He has developed an amazing system for appointment booking. He loves writing about Business Ideas, Customer Management, and everything about new innovations and happenings in the Web world.When not blogging, he loves spending his time in social networking.